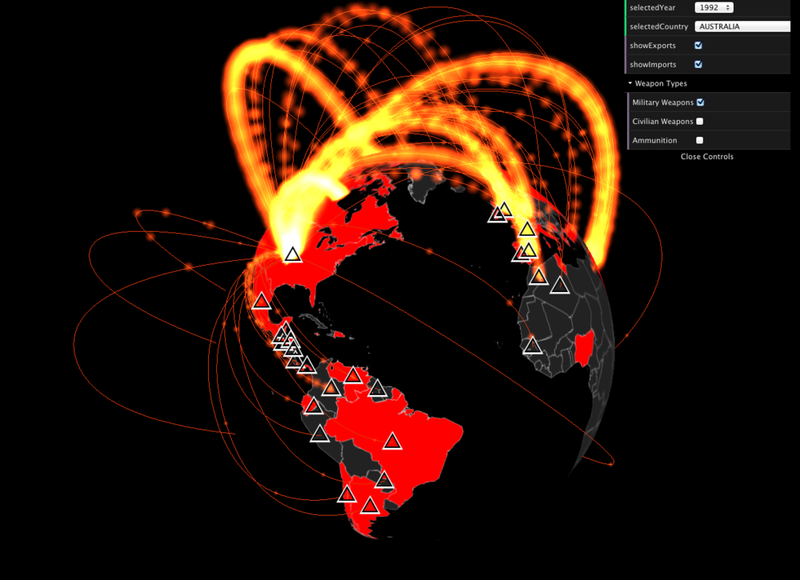 In 2012 I worked with Robert Muggah and Google's Data Arts Team to produce a visualization on weapons trade around world as part of the 2012 Google Ideas INFO (Illicit Networks, Forces in Opposition) Summit with support from the Igarape Institute and data provided by the Peace Research Institute Oslo (PRIO). 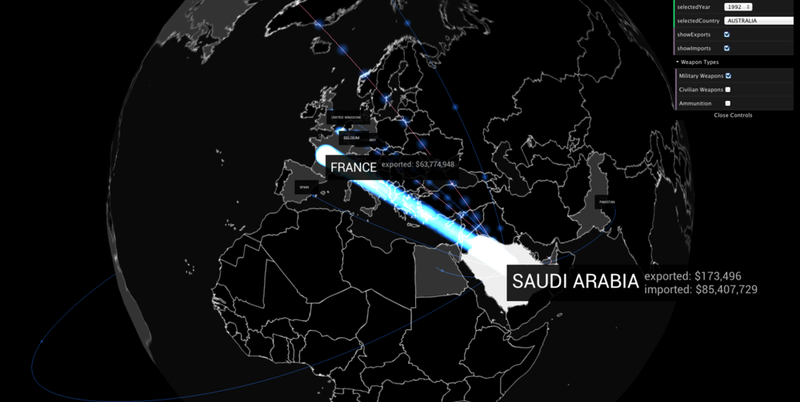 The data came as CSV and a parser was written to convert this data into lines that conform around the globe from country of origin to destination of the weapons sales. 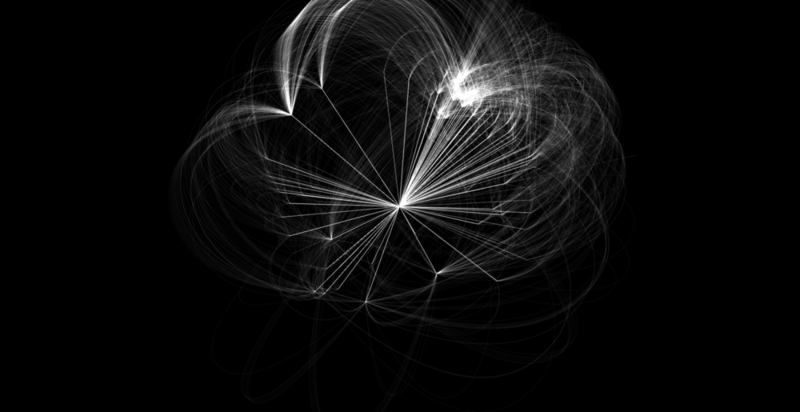 Particles were then animated long these paths to show the direction of flow and color coded for imports or exports. The mesh generation and rendering was done via THREE.js. 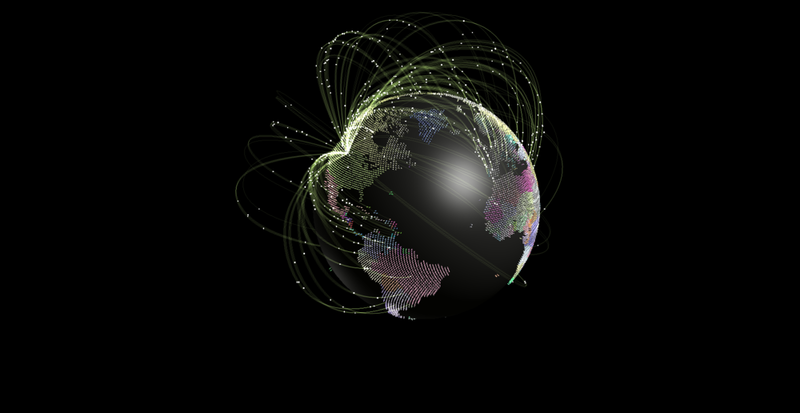 The globe went through many iterations and part of the challenge is to create a way for users to click arbitrarily on the globe and detect which country had been selected. You can read more about the development process in the link below.